Women’s 6.1 oz. 85% polyester /15% spandex knit jersey polo. Women’s 6.7 oz. 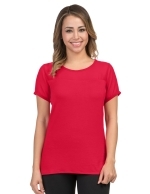 58% cotton/37% polyester/5% spandex v-neck knit shirt featuring Tri-Mountain UltraCool® moisture wicking technology. 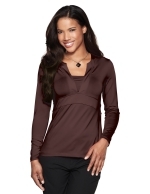 Women’s 6.7 oz 96% cotton/4% spandex jersey 3/4-sleeve polo. Women’s 6.7 oz. 95% cotton/5% spandex jersey v-neck long sleeve knit shirt. 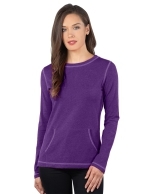 Women’s Long Sleeve Crewneck 6.7 oz. 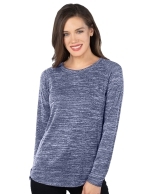 53% rayon/44% polyester/3% spandex knit. Lilac Bloom easy care preshrunk 8.2 oz. 100% cotton long sleeve knit. Lilac Bloom easy care 6.7 oz. 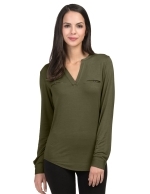 88% poly/12% spandex long sleeve knit tunic.